Please keep a small card stating your name and giving emergency contact details in your wallet or pocket. Ride guides or backmarkers may have some of these available to those who ask. Health - Riders should be in good health and any rider that has a doubt about their health or fitness, or has a medical condition or injury that could be affected by exercise (particularly a heart condition), should consult their doctor before participating. Meeting people - cycling is a social activity that involves communicating with and meeting different people, some of whom you may not know. You should therefore be vigilant and act with caution with someone that you are not familiar with, and exercise your best judgment in the circumstances. It is possible for people to misrepresent themselves. Assessing their truthfulness and honesty is your responsibility and you should trust your instincts. Common things that give cause for concern may include without limitation: requests for private rides in remote or isolated locations at an early stage; someone asking inappropriate questions; and/or someone requesting a lot of personal information at an early stage. It is recommended that for one to one meetings, where you do not know the other individual, you should remain in public rather than go to isolated locations and let somebody know where you are going. Be cautious when you share personal information which may allow someone to make unwanted contact with you. If you have any concerns about any individual, you should report this to the authorities. Insurance - cycling is a relatively safe activity. We do not provide or require insurance and it is not required by law, but many riders are insured. Riders should remember that the terms of their insurance as part of another cycling club or a household policy may only cover them in certain circumstances. Riders should check and ensure that they ride in accordance with the terms of their insurance to be sure that they are covered. Please see our suggestions about insurance. Highway Code - Rides should be undertaken in accordance with the law and with due regard to the Highway Code. 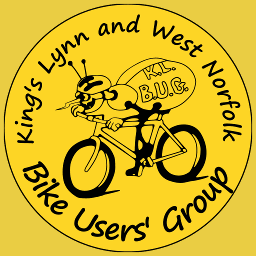 Ride guides - should be experienced in group cycling and aware of the safety considerations for cycling as a group, including the need to give early signals and audible warnings and to remind riders to take responsibility for their own safety. Unable to attend? If you have stated that you will attend but are unable for whatever reason, you should inform the other participants prior to the event by posting an appropriate comment on an online ride notice or sending apologies with someone who is attending. All volunteers have a responsibility to safeguard the welfare of children, to promote their welfare and to protect them from harm during their direct involvement with us. Ultimately, if you feel anyone is behaving inappropriately around children, you have a duty to report your concern. If a child suggests they want to tell you a ‘secret’ or discloses information that may suggest they are at risk of, or have been abused, it is important that you tell them that you are unable to keep secrets and that, dependent upon what they tell you, you may have to tell someone else in order to keep them safe. In the majority of cases the child will disclose to you anyway as it is often the case that the child will have prepared themselves to make a disclosure. It is important to remain calm, do not show shock or disbelief, listen carefully and not ask detailed, probing or leading questions, then tell them that you take what they are saying seriously, tell them what you are going to do next and only tell people on a need to know basis. In most situations the child is unlikely to be in immediate danger but if they are you must contact the police on 999. Otherwise, seek guidance from the police or Norfolk County Council's Designated Officer for safeguarding children before sharing information. Keep records, including dates and times.